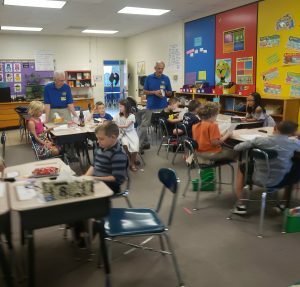 The Waynesville Kiwanis Club visited the third grade classes at Junaluska last week. They gave each student a dictionary to use for school work. The Kiwanis Club has been doing this for several years for the students at Junaluska. We want to thank all the members of the Kiwanis Club and their continued support of the students at Junaluska Elementary School!